NetEnt, one of the largest gambling software developers in the globe has revealed that their games have finally gone live within the jurisdiction of New Jersey. This is pleasing as after the last year of constant persistence & efforts to enter the market NetEnt has finally been able to do so. Their games are being provided through the Borgata Casino Hotel, an online casino that’s oddly named. Bwin.Party runs this casino & looks forward to seeing this platform make its way to the casino. There are only a few games currently being offered with dozens more to be released with every passing week. The games currently available include Flowers, Fruit Shop, Gonzo’s Quest & Jack and the Beanstalk. All of these games can be played on both mobile and desktop platforms to whomever lives in the boundaries of the state of New Jersey. Each of the new games released in upcoming weeks will be available in both mobile & desktop platforms as well. NetEnt, formally known as Net Entertainment has showcased their upcoming video slot for release. 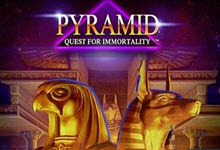 This new slot is called “Pyramid: Quest for Immortality” and will take place within the ancient Egyptian world. Pyramids, secret mythical creatures and more shall as will big wins. This new slot is developed as a 5 reel, 720 way to win casino game. The Egyptian theme is present with every spin made in this game. There’ll be various pharaohs and creatures that’ll be shown off to those who play this slot, making them feel as if they’ve just entered another realm. This realm also holds win multipliers, wild symbols, collapsing reels, re-spawning wilds and a bonus round. Visually in the background two of the Giza Pyramids lie in the background, on the reels all the various creatures and pharaohs will make an appearance, greeting you with big wins in the process. This slot is slated to be released on October 5th, 2015. It’ll be available at all online or mobile casinos which have licensed out the Net Entertainment platform. Those whom wish to gain more information on this new slot only have to go to the Net Ent YouTube Channel, a video of this casino game has been posted for fans to enjoy. There is no word as of right now if this slot will be providing a large jackpot win or a progressive jackpot win. In order to find out punters will just have to experience this video slot for everything that it has to offer. This entry was posted in Uncategorized on September 20, 2015 by admin. Gaming Realms, a United Kingdom based gambling firm were pleased to announce earlier on this week that they’ve purchased the Seattle based betting group “RealNetworks” for $18 Million. This being an incredible steal for Gaming Realms as it would’ve only cost them eleven to twelve million due to the conversion rate. This deal will allow for Gaming Realms to finally enter into the United States of America as an official company as well as enter their gambling market. This deal required that Gaming Realms pays out $10 Million at first with two more parents of $4 Million with each passing year. This deal was able to be financed thanks to realms issuing out another fifty million shares for their company, valued at twenty five euro’s a piece. This deal just won’t have Gaming Realms enter the US but also Canada as well thanks to the fact that they’ll also be acquiring GameHouse US and Game Studios Canada. This deal will also have all of the gaming library that all three of these companies hold provided to Gaming Realms as well, allowing for them to provider is as an option within their own platform. This is an incredible deal that has allowed for this UK betting firm to acquire three different companies, hundreds of casino games and the ability of entering two different markets. It’ll be interesting to see what Gaming Realms does with the acquisition of these companies & how they’ll progress in the United States of America and Canadian gambling markets. 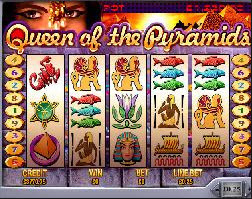 One gambler has been able to win a life altering amount of money while playing the Playtech developed video slot “Queen of the Pyramids”. This luck gambler was able to trigger a $223,404 progressive jackpot while playing this slot, one of the largest to be won throughout the entire year. Unfortunately the largest win triggered this year was $321,556. Those wishing to try their luck at this video slot will be met with a 5 reel, 9 payline video slot based around the Ancient Egyptian time period. While spinning the reels the Eye of Ra, Pyramids, Fish, Scorpions and much more make an appearance. Some of those icons will portray wilds and scatters to enhance a player’s opportunity to trigger large wins. It’s required that an account be registered with an online casino that supports the Playtech platform before this video slot can be enjoyed, a valid payment method will be required upon registration. This is the ninety first time that this progressive jackpot has been triggered since the slot was released back in December, 2006. Who’ll be the next big winner? Gold Rally still stands as one of the more popular video slots that Playtech has designed during their time as a software developer. The reason for this slots continuous popularity is because it offers an incredible progressive that is triggered on a regular basis. Today once again this progressive was won with one fortunate player winning $728,408 in the process. This isn’t the largest win to occur through this slot but it is none the less still impressive. There isn’t any details regarding who triggered this progressive or which online casino gracefully hosted this win. This is the second largest win to occur in a period of thirty days, that alone shows you how much this slot is played and how often the progressive is won. When winning a mass amount of money such as this you can opt out of revealing your name & still make a statement, when that statement is released we’ll inform you of what this player plans on doing with their new earnings. The largest progressive to be won through this slot is $6.3 Million, within the length that this slot has been available on the market it has provided a series of historical wins. The $6.3 Million being the most historical of them all. Those wishing to play Gold Rally and have an opportunity of being the next big winner can do so by registering an account at an online casino providing the Playtech platform. There are hundreds of video slots developed by Playtech, you’ll have a good range of slots to choose from when playing under this platform. Someone around the world has had their lives forever changed today as they were able to trigger a progressive jackpot worth more than one million dollars. This fortunate punter was able to trigger a progressive worth $1,186,103 which is an incredible amount of money to win. This punter was playing Playtech’s Gold Rally, one of the older and more beloved video slots from Playtech when they triggered this progressive. Gold Rally is a 3 reel, 5 payline video slot that has been able to have a record amount of progressive jackpots triggered on it. The simplicity of this slot allows for punters to have a fun & enjoyable experience without having to pay attention to every detail. 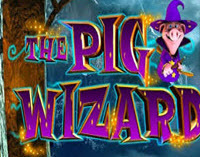 Throughout the years that this slot has been available it has been triggered thirty nine times, it is by far one of the more trigger friendly progressives in the online gambling market. The Gold Mining theme of this slot has recorded some of the largest progressives known in history. Unfortunately this slot has had one unfortunate mishap in its years. It’s said that one punter playing this slot triggered the progressive and won more money than ever before seen with an online progressive. Unfortunately that progressive went missing as the transaction process had a hiccup on the players end. This resulted in one of the more famous cases in the online gambling market, “The case of the missing Gold Rally jackpot”. None the less every other time that this progressive has been won payment has gone through smoothly without any hiccups. Luck was on one fortunate punters side while they were playing at Miami Club Casino. Charlie M had never gambled online before but had only chosen to gamble at his local land based casino. This punter registered an account with Miami Club Casino and on his first day gambling online he triggered a massive a total of $125,000 from a variety of different slots. Charlie first was playing Black Magic where he triggered $20,000, he then switched it up and starting playing Jester’s Wild. He eventually activated the Spin Up Your Win feature and won another $60,000. Already at $80,000 Charlie didn’t know what to do so he increased his wager by five times its original amount and then triggered another $12,000. He then amped things up once again and was wagering $150 per spin, he eventually triggered the Wheel of Chance and won another $48,000. Charlie continued to gamble another $15,000 after which he withdrew his winnings. This is an incredible win for a punter who only deposited $10 on a 100% match bonus. Using his $100 he was able to increase that amount to a total of $125,000. This has never before been seen at an online casino and major congratulations are in order for this punter. There has been no word as to what he plans to do with his winnings or if he will continue to gamble at Miami Club Casino. We will inform you if Charlie M releases any statements in the near future regarding his impressive wins.